Whether fronting his own band, The Northern Resistance, on lead vocals and sax, or blowing his horn behind Gregg Allman, Little Feat, Donald Fagen, or Levon Helm, Jay Collins always delivers. In an era where many learned to play music in a school, Jay is one of those rare musicians who learned to play, "on the bandstand". Mr. Collins played on 2 Grammy-winning recordings in the Levon Helm Band, and was on a platinum-selling DVD with the Allman Brothers Band (Live at the Beacon Theater), to mention just a few. He was the horn arranger, saxophone player (2001-2016), and musical director (2004-2009) for the Gregg Allman Band, a gig he held for 15 years. "He has a killer tone…"-Gregg Allman. Jay also toured with The Dukes of September, a collective featuring Donald Fagen, Boz Scaggs, and Michael McDonald, and lately has been lending his horn talents to the legendary band, Little Feat. His newest group, Jay Collins and the Northern Resistance, is composed of the finest young rock and roll players in upstate NY. Their release, "The John Brown EP", came out in the fall of 2016. The EP finds Collins singing and playing at the top of his game with 5 new songs--short and straight to the point, including his ambitious and historical telling, "John Brown". 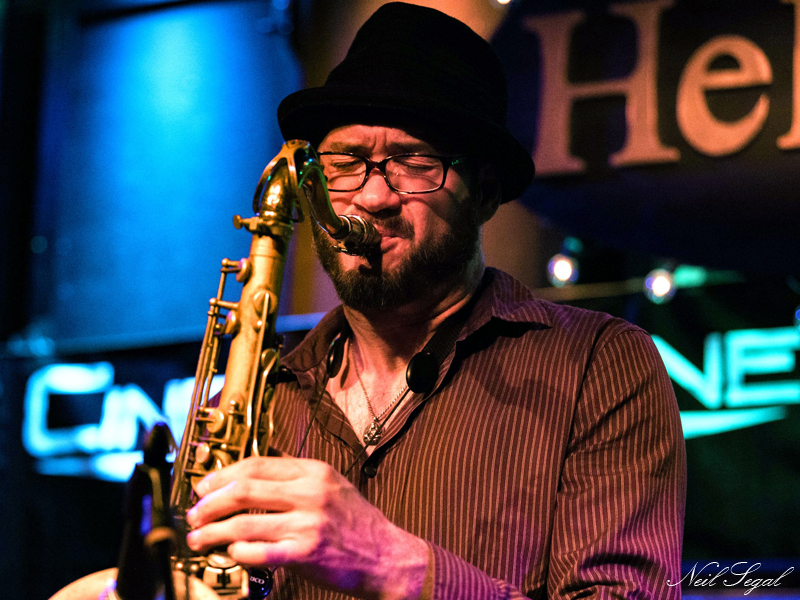 "Jay Collins plays a hot saxophone, but he covers a lot more ground than that…."